Lawns can be a bit of a hassle to deal with, wouldn’t you say? They require watering, upkeep and a lot of care especially during the hotter months. You’ve probably seen examples of people finding creative alternatives to the traditional lawn online, but perhaps you aren’t sure whether or not they’d be right for you. That’s a fair concern to have, which is why we’ve come up with a helpful guide so you can design your own alternative lawn – or at least get an idea of what would and would not work for your home! First of all, know that there are numerous options out there. There’s no need to have a traditional lawn anymore when you can cover your garden in herbs instead! Indeed, you can plant things like thyme, chamomile and mint to replace your lawn. Granted, these are generally more fragile than a lawn, but if you don’t have kids or dogs running around, they are a great option. You can also put stepping stones or a pathway in places where these alternative options would be susceptible to damage. You can also look at things like low-maintenance grasses like fescue, which only need a monthly mowing. Also, sedges are plants that are related to grasses in that they only look like them. 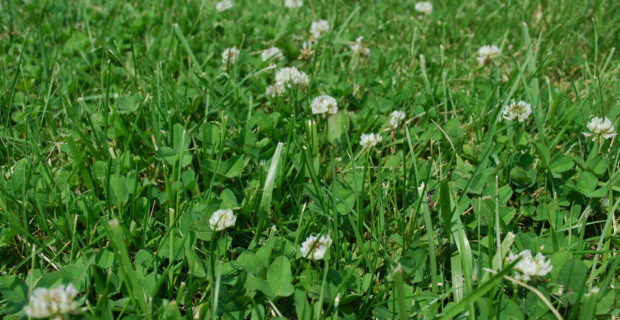 Consider groundcovers – plants that spread instead of growing tall – and although they need seeding and mulching to get started, they are super low-maintenance. Other plants like moss and clover are fantastic alternatives that fit in with our local environment in the UK. Standing out is nice, but think of your neighbours. Be considerate of their views as well as yours. Perhaps talk to them about your plans and let them know what you’re thinking of doing – they might have some fantastic insights to give you! Keeping with your local environment could also save you money and hassle down the line. That’s because there’s no need to import, these plants will require low maintenance and won’t cause problems to surrounding problems. If it doesn’t work out, maybe it’s because the plants can’t survive in your particular environment. It’s also fine to stick out! Just try to keep the neighbourhood happy. They might have never heard of alternative lawns. If you’re open to answering their questions, inviting people over to enjoy a cup of tea sitting on your new lawn might be just the ticket! On top of fitting in a little bit – xeriscapes are fashionable but not very British – you want to think long and hard about what you want out of your garden. You’ll want a hardy covering if you have lots of footfall in your garden, but if it’s a place for reflection and relaxation perhaps you’ll want something else. Consider the maintenance you want to be doing too. 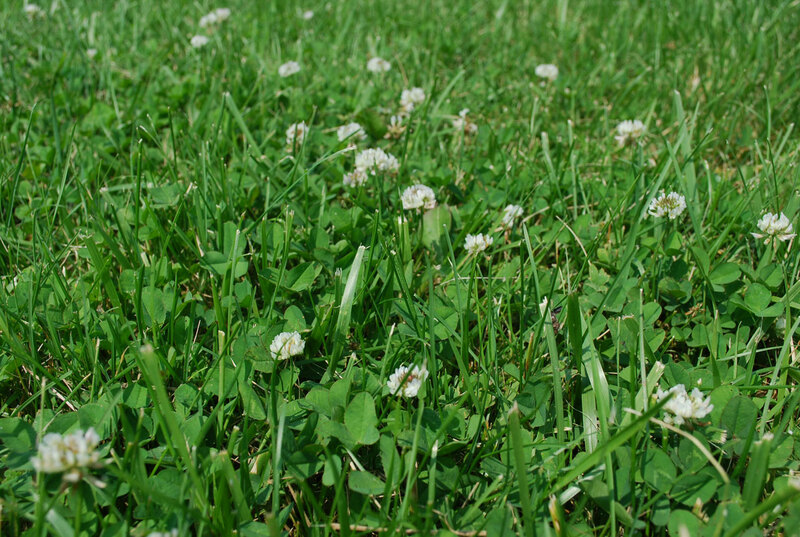 Certain alternative lawns like clover fertilise themselves by drawing nitrogen from the air – fantastic! No need to mow, water, or fertilise, which also makes it very inexpensive. If you’re okay with doing a little bit of work in your garden, you can consider things like bushes and trees in beds of mulch. Plus, the maintenance there is probably a lot more interesting than mowing a lawn – that’s a matter of personal opinion though! Do you really need plants? Who knows, perhaps synthetic grass might be a better choice for you. This is especially true if you have lots of people and pets running around on your lawn. Other alternatives might be too fragile. This can be a temporary option for a season while you consider other options, too. A deck with outdoor garden features is a lovely alternative though of course hard landscaping will cost you more. If you’re more likely to use the garden as a sitting area and don’t want to spend lots of money on paving or stepping stones, you could put some gravel in. This requires little maintenance, though you’ll want to look for porous gravel so water can run off it. Still not sure about what will work? Visit some local parks, and look online to find inspiration. Put together a vision board for yourself so you make sure you get the best possible outcome for your garden and your family. There’s a lot to think about, so write it down and talk it through with the other occupants of your home, who probably have some great ideas too! It can be a bit much to think about every little thing when you’re designing – or considering – a new alternative lawn. You’ll have to think about what’s going to work for you, whether the new plants will survive in your soil and environment, and what kind of upkeep will be involved. Getting expert advice can be very helpful. When you visit www.getagardener.co.uk you will be able to contact local gardeners for their advice and expertise.